A slight variation of the classic Rolo style link necklace. This 4mm Rolo link chain has diamond cut edges on either side of each link, giving it a little more sparkle than the traditional rounded Rolo chains. 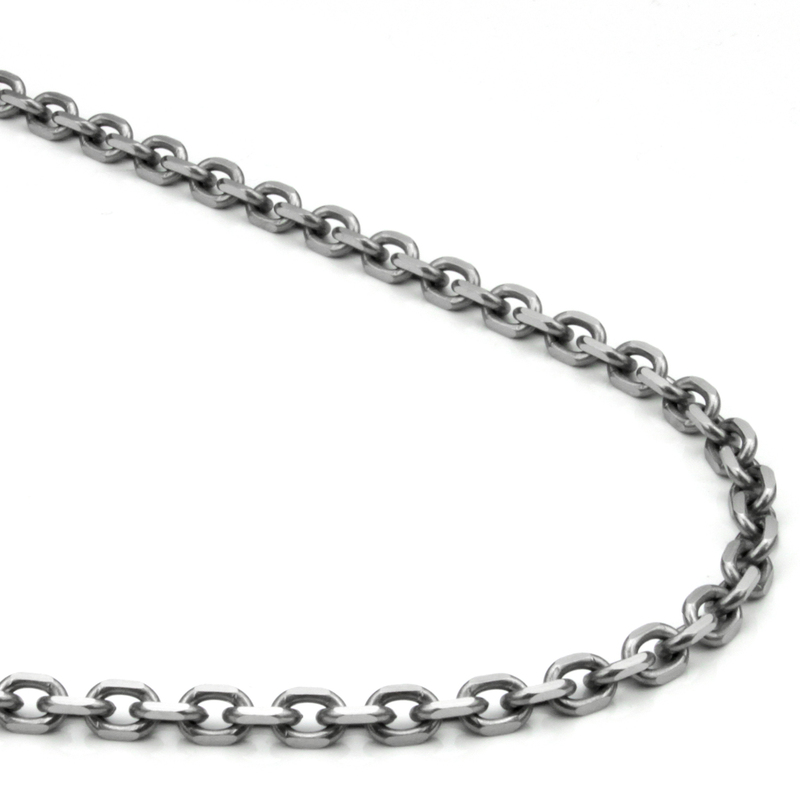 As with all our titanium chains, this chain is entirely crafted from solid CP2 grade titanium alloy, including the lobster clasp. Titanium is known for its superior strength and light weight. This chain is therefore feather light and extremely comfortable to wear, and at the same time, so durable that it can be use to hang your valuable charm with peace of mind. 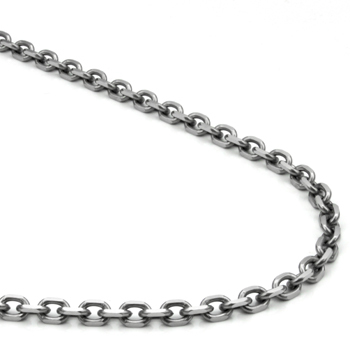 Moreover, this chain is tarnish proof and hypoallergic.